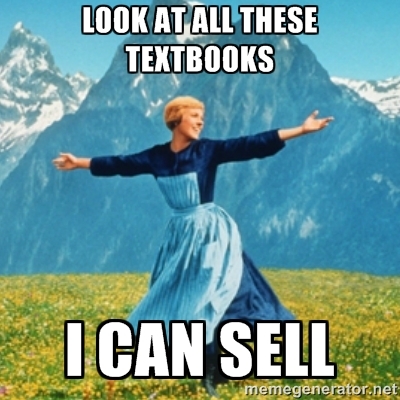 Keep Calm and Sell Your Textbooks! It’s quite obvious that the education fees and book prices are incredibly high and are continuing to rise with time. For this reason students are trying to save as much money as they can, and buying and selling used textbooks is one of the popular ways. 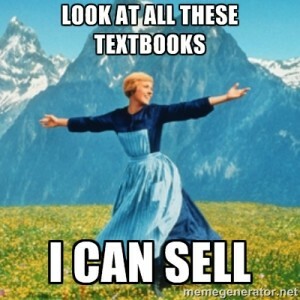 The market for used textbooks has expanded in the recent years. A huge amount of websites was created specifically for this purpose, not to mention all the other digital and physical sources, and it’s very important for a struggling student to find the best deal. As an owner of used textbooks, you have the opportunity to use venues like eBay or even Facebook to resell all your study materials to the ones that need them; there is also an option of selling books to your friends – though not a tremendously beneficial one. However, in all these cases the responsibility of arranging the deal falls only on you. When opting for such an alternative as BooksRun.com, you can be certain of getting the payment for suitable textbooks. Do not hesitate when having such a convenient opportunity to earn some money! Visit our website and find more about preparing textbooks for a resale, used books prices, and free shipping.